It is extremely important to know everything you can about your boards, so you can have a knowledgeable conversation with your customers. 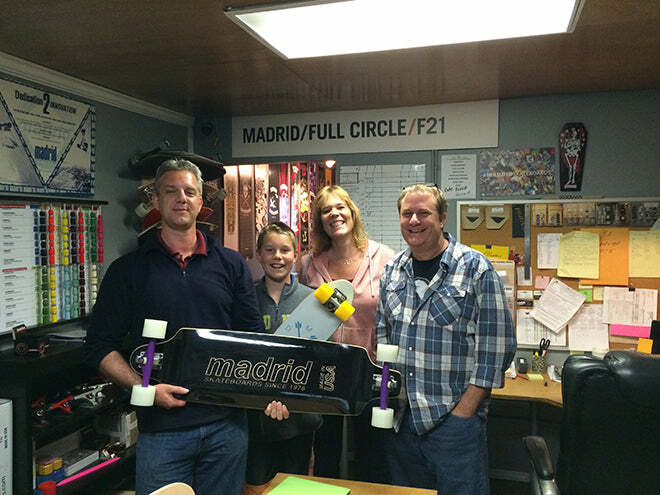 So we paid a visited to Madrid Skateboards, a well-known skateboard company, who makes very reliable and durable skateboards and longboards. 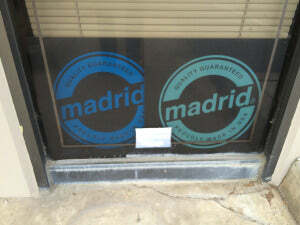 Madrid is one of the brands we sell in the skate longboard store. 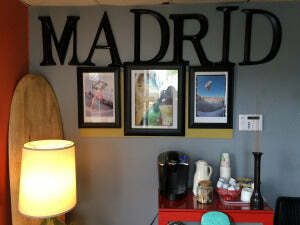 Madrid Skateboards is located in Huntington Beach, California. and are making skateboards since 1976, so an old timer in the trade with lots of experience. The owner Jerry Madrid made a successful transition from surfing to skateboarding before skateboarding became a fashion. Over the years, Madrid has developed into one of the top leading deck manufacturer in the world.They are still using some of the the traditional recipes for making skateboards, however now with modern improvements and modern technology. Their boards are top of the line longboards and skateboards, made in their own building in the USA. When you come in, there is a small sitting area, where we met Craig Harbick. A very nice guy, who works in the industry for over 20 years and who took the time to explained everything about Madrid Skateboards. He showed us the warehouse and the rest of the building. 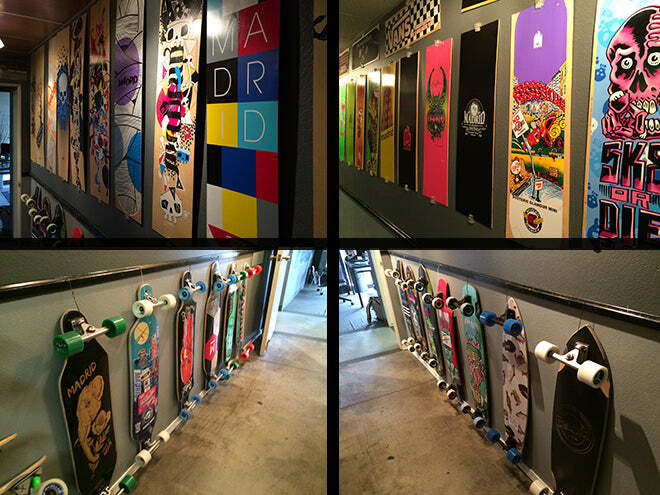 Skateboards and longboards are displayed throughout the place, on walls, in offices and in hallways and so on. Its shows some of the historic boards as well as their latest and greatest releases. They take pride in every single quality board they make in their workshop. Their staff is dedicated to make the best boards. Nothing goes out the door without thorough inspection. When an order comes in, the board will be made on demand, inspected and packed right away. This prevents it from being scratched or damaged before it goes to the customer. That is why it takes a little longer to get it shipped, however well worth waiting for. You can find Madrid Skateboards in magazines like ‘Concrete Wave’ and ‘Skate Slate’ on a frequent basis. One of their employees, Zak Maytum, races in tournaments on a regular basis and you will see him in the magazines as well. 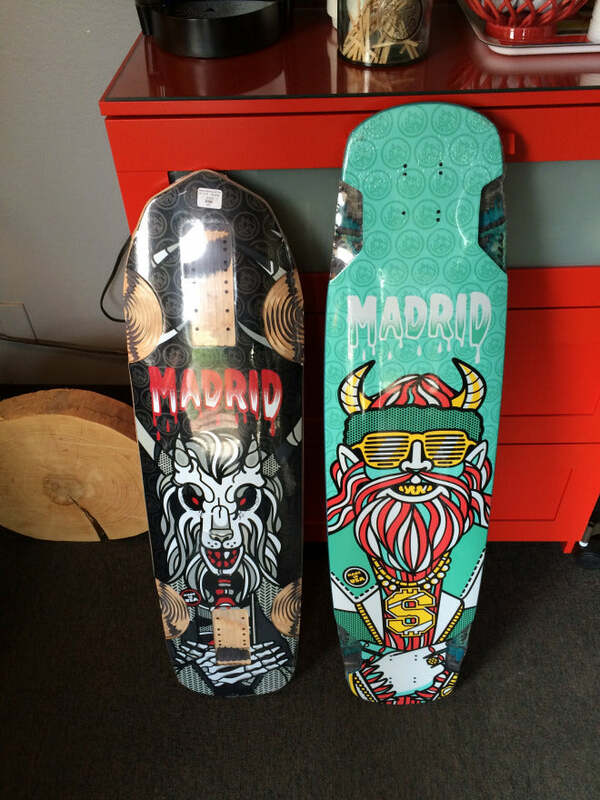 Madrid Skateboards has high quality skateboards and longboards with cool graphics. They are also the distributors of Venom bushings. 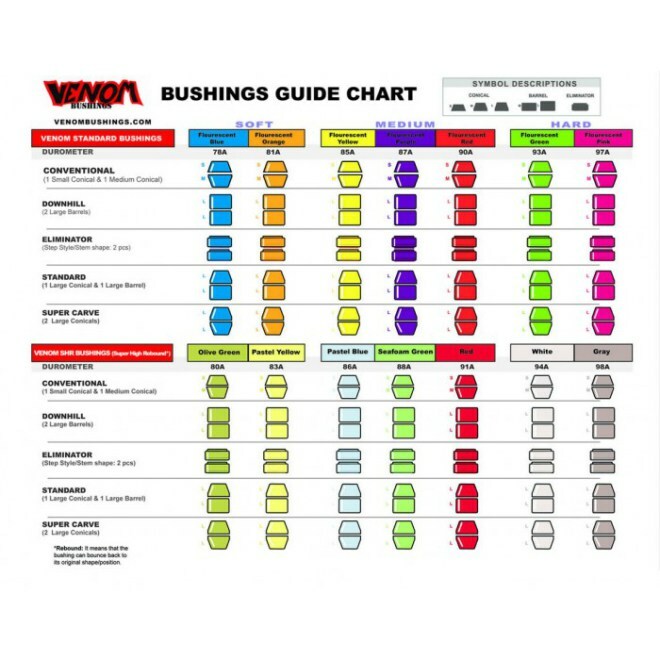 The Venom bushings have an excellent return to center as well as a high rebound rate. This makes the bushings very comfortable to ride on, especially when you are carving, going downhill, or do the freeride style. Bushings are a very important part of the longboards and skateboards to ride well. Check out all Madrid longboards and skateboards. It was a pleasure meeting the staff and the company. Thanks! Go shred and have fun!